What did I do yesterday? Well I'll tell you in brief. 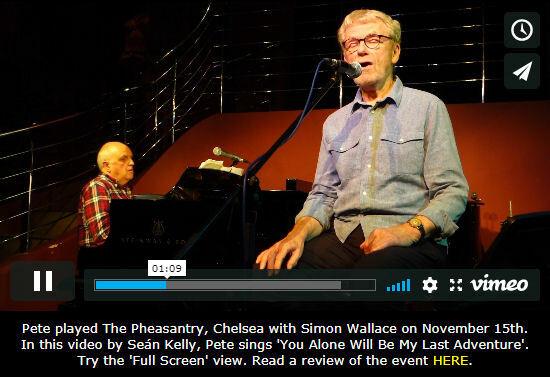 I went along to the Pheasantry to catch the latest in this run of special gigs in which Pete is accompanied by the remarkable Simon Wallace on piano. Expectations (ok mine) were high - and I can tell you happily that the gig did not disappoint at all. 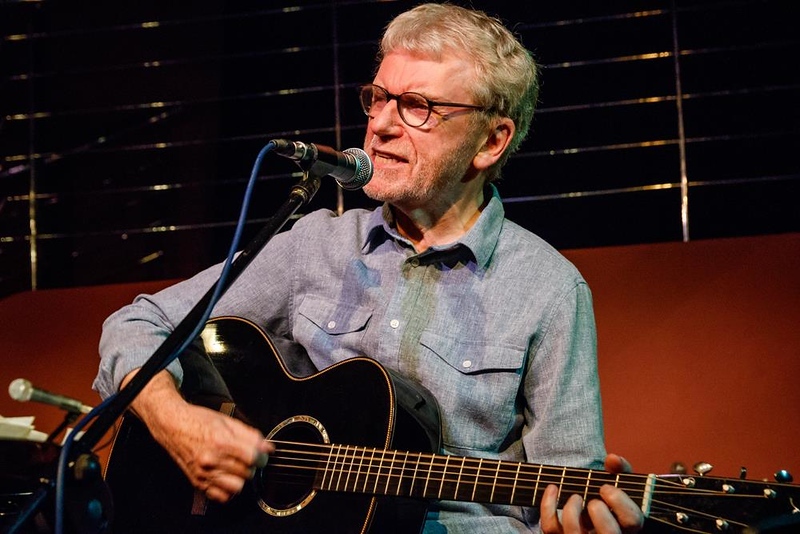 Pete was in remarkably good voice and sounding happy and confident. Simon's accompaniment effortlessly moves from understated support to a kind of rolling solo which floats over the chord sequence. His gentle embellishing of the music seems to add so much more than mere decoration. 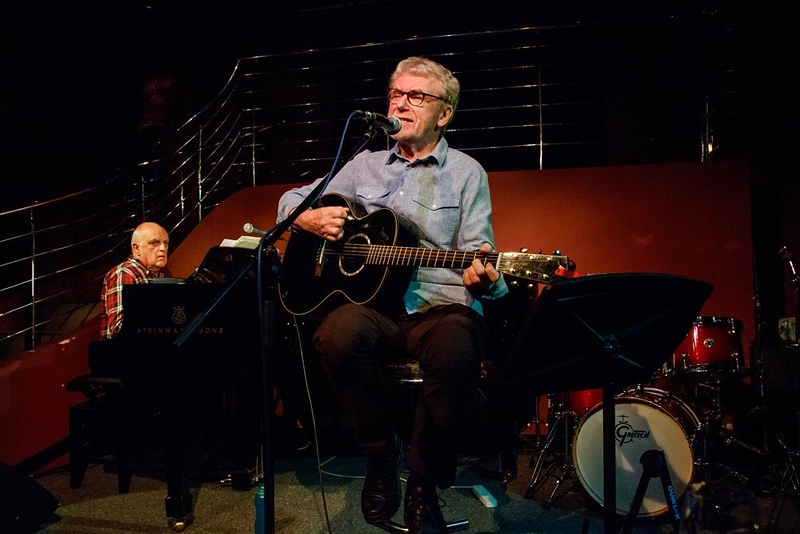 The sound system is good at the Pheasantry and consequently every word, whether in the songs or the introductions, comes over loud and clear. That's a fairly important criteria at a gig like this but you could tell it was working with a song like Stranger in Town when the audience, as they say, laughed in all the right places. Pete and Simon have either put in a large number of hours rehearsing or else they both have such musical empathy that their playing fits together so well and so naturally that to the untrained ear it could sound like telepathy. When one moves forward the other naturally lays back just like a jazz band I guess. Highlights for me were the two I think of as Monyash songs (History & Geog + You Alone Will Be.. ) as well as a moving You'd Better Face It Boy. But hard to pick out highlights when both Pete and Simon were playing such an enjoyable gig. Thankyou both! Thanks for the report and the photos, Sean. Sounds like a great gig. Thank you, Seán , for an excellent review and set list! And the photos! You always take the most amazing gig photos - superb! I must second Carole's remarks, Seán -- those are superb photos accompanying your report. I would like to use at least one of them on the Website. I hope this is OK with you -- I wouldn't presume to take your sharing of them on MV as an automatic grant of permission to use them on Smash Flops. Thank you so much, Seán. You are a generous chap. And modest - I didn't even catch a glimpse of you. You must have nipped out by the time I came back down the grand staircase into the room. I was aware of one or two (most welcome) familiar faces, but I spoke to a gratifying number who said they hadn't seen me since nineteen seventy something; it's always good to make these re-connections. 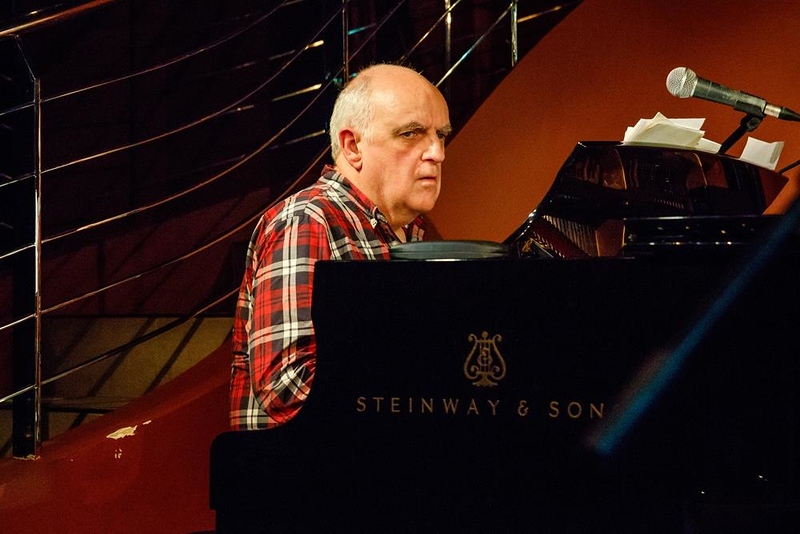 And yes, it's always a treat to get to work with Simon, for all the musical reasons that are obvious to everyone, but also for being ready and willing to tackle things we haven't done before, and for the skilful and forgiving way he copes with how I sometimes muck about with keys and tempos and put extra bars in odd places. Have You Got A Biro I Can Borrow? I am immodestly hoping that since this was yet another sell-out - and more huge thanks to everybody for that - that nice Mr Paice will soon offer me some further dates. If and when he does, I'll let you know. Ah well at the absolute minimum Janice and I will surely give thanks for the improved set-list Pete : thankyou! And I did indeed nip away - you had a good line of admirers waiting there! - but will be sure to say hi next time. And Steve - yes indeed - delighted if you can use a picture of mine - anytime! 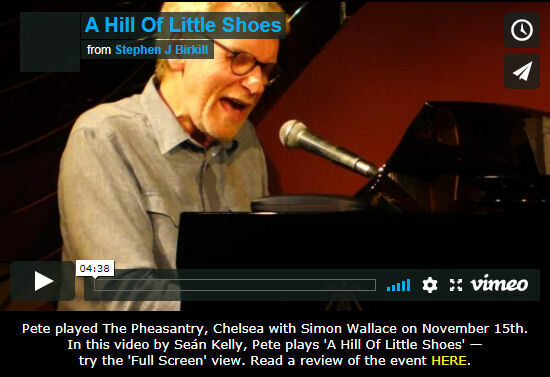 I just swapped the featured video on the Smash Flops home page, from 'A Hill Of Little Shoes' to 'You Alone Will Be My Last Adventure'. These screenshots provide a direct link to each one on the Vimeo site. As ever, credit to the inestimable Seán for his fine work in shooting these and his generosity in sharing them. PS -- A Smash Flops page bringing together all our videos is on its way, but I must decide whether to make it MV members only, to include (for example) selected Monyash items, or to exclude these and make it free for all. There doesn't seem to have been much interest in the 'members-only' audio recordings in the Discography, so I might just post the videos already in the public domain. Fantastic - great for everyone who can't make it often to the Smoke to see something of the performance. And even better if you make an MV page for them, Steve.